Efforts to save the spoon-billed sandpiper are being made by a large number of organisations and individuals throughout the flyway and beyond – a truly international and collaborative effort. The key partners involved in conservation breeding, headstarting and satellite tracking are WWT, Birds Russia, the RSPB, the BTO and Moscow Zoo working with colleagues from BirdLife International, ArcCona and the EAAFP Spoon-billed Sandpiper Task Force. 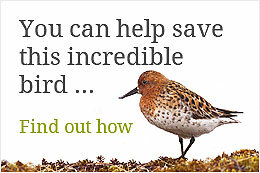 The work is supported by WWT, RSPB, the UK Government’s Darwin Initiative, SOS – Save our Species, ICFC – International Conservation Fund of Canada, a legacy from the late Dr Rosemary H McConnell and Leica Camera AG, with additional financial contributions and support from the Australasian Wader Study Group of Birds Australia, Avifauna Research, Avios, Balmain Charitable Trust, Barfill Charitable Trust, BBC Wildlife Fund, Belgian Birding, BirdLife International, British Airways Communities & Conservation Scheme, British Airways Corporate Safety and Security, British Birds Charitable Trust, Chester Zoo, Convention on Migratory Species, Dutch Birding, the East-Asian Australasian Flyway Partnership, Heritage Expeditions, Microwave Telemetry Inc., Mileage Company, New South Wales Wader Study Group, New Zealand Department of Conservation, Olive Herbert Charitable Trust, Oriental Bird Club, OSME, Peter Smith Charitable Trust, Philips Lighting, Queensland Wader Study Group, WWT Slimbridge Friends, Wader Quest, WildSounds and many other generous individuals. Leica Camera AG is WWT’s exclusive optic partner for this key conservation project. Save Our Species is a joint initiative of IUCN, the Global Environment Facility and the World Bank. Its objective is to ensure the long-term survival of threatened species and their habitats. The Darwin Initiative assists countries that are rich in biodiversity but poor in financial resources to meet their objectives under one or more of the three major biodiversity Conventions: the Convention on Biological Diversity (CBD); the Convention on International Trade in Endangered Species of Wild Flora and Fauna (CITES); and the Convention on the Conservation of Migratory Species of Wild Animals (CMS), through the funding of collaborative projects which draw on UK biodiversity expertise. ICFC is Canada’s leading charity for conserving nature in the tropics and other priority areas worldwide. Working with the best local partner NGOs, ICFC focuses on direct conservation action to protect ecosystems and reduce threats to endangered species. In 2015, ICFC launched a Shorebird Conservation Initiative that targets some of the world’s most endangered shorebirds. ICFC provides funding and guidance, as needed, to establish long term conservation programmes for these species and the habitats required to sustain them. 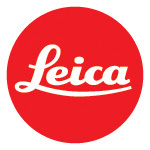 Leica Camera AG is a partner for this key conservation project. The company is generously providing a range of camera and optic equipment for use by WWT staff in the field. This high quality equipment will be of immense value to the team as they work in Russia’s Far East, continuing their efforts to find and protect the few remaining spoon-billed sandpipers in the wild. In addition the company is providing direct financial support to this vital mission.